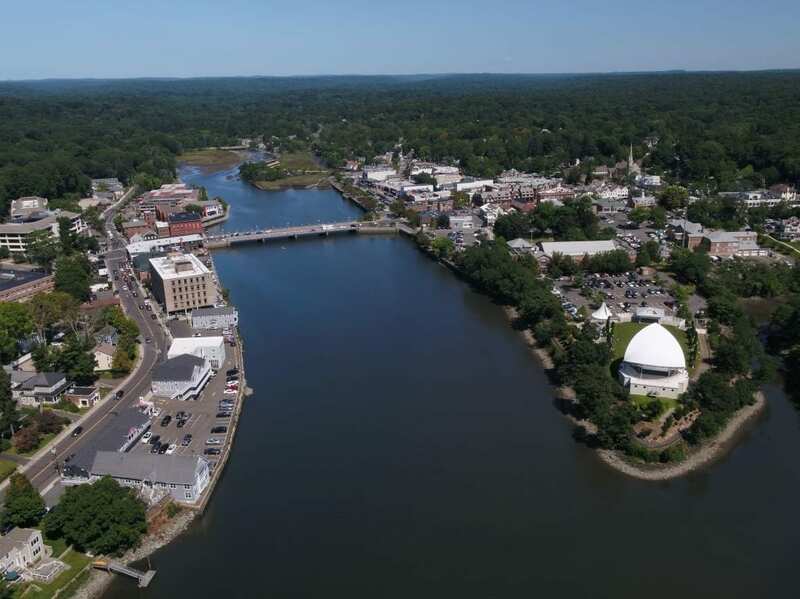 Westport, Baltimore, Maryland, sits on the estuary of a river and surrounded by a large area of forest, is an under-developed small town. People live here enjoy the fresh air, clear sky, sterling stars that disappear in some megacities, and slow lifestyle. Undoubtedly, Westport is a livable town. People in there want to build their hometown into a more beautiful, modern, environmental-friendly, and residential city in 50 years. In the future, the environment of Westport will be improved. More trees will be part of the landscape of the town as well as the local the river will be more clear. 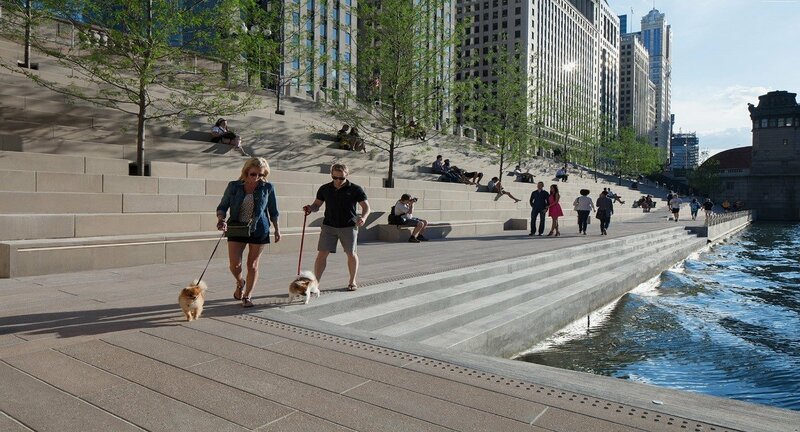 Thus the design team takes advantage of the excellent environment to build a waterfront path along the riversides, which is also to salute the exceptional design of Chicago Department of Transportation. 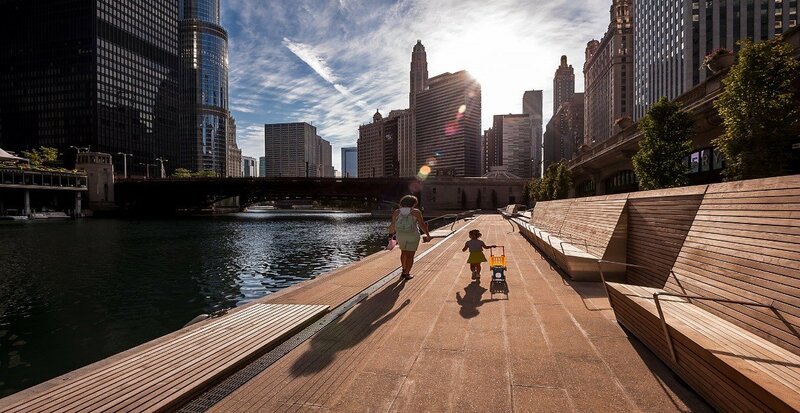 Local people’s life becomes colorful because of the new design of the river banks: the path enable children and parents have a close affinity with the environment and nature. 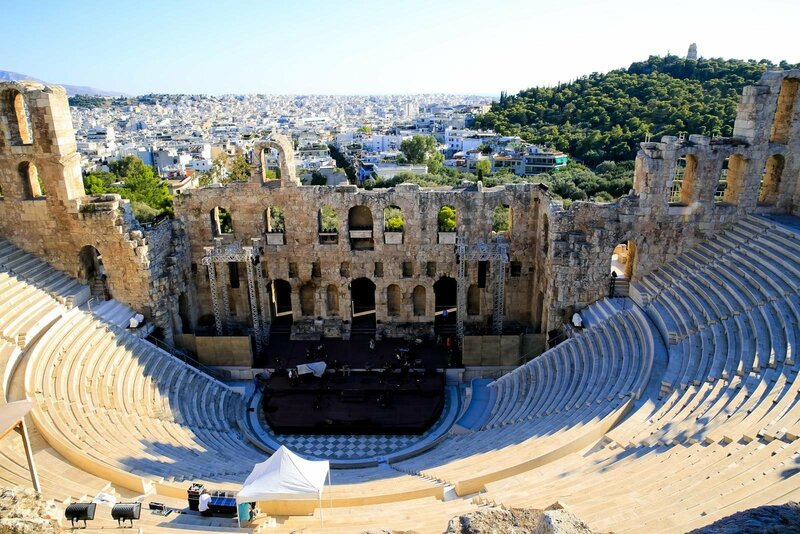 People can have a rest and hold cultural activities in the outdoor theatre whose blueprint is based on the Theatre of Dionysus built 2000 years ago. 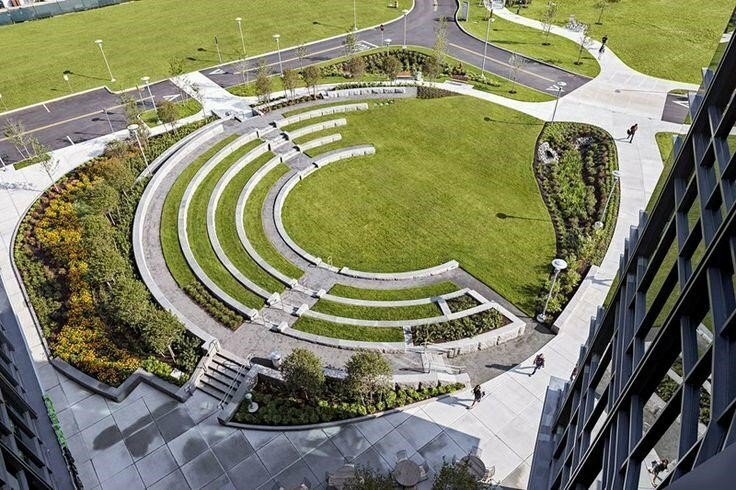 Located on the right bank of the river, the outdoor theatre and the futurism constructions on the other side create an integrated cityscape. 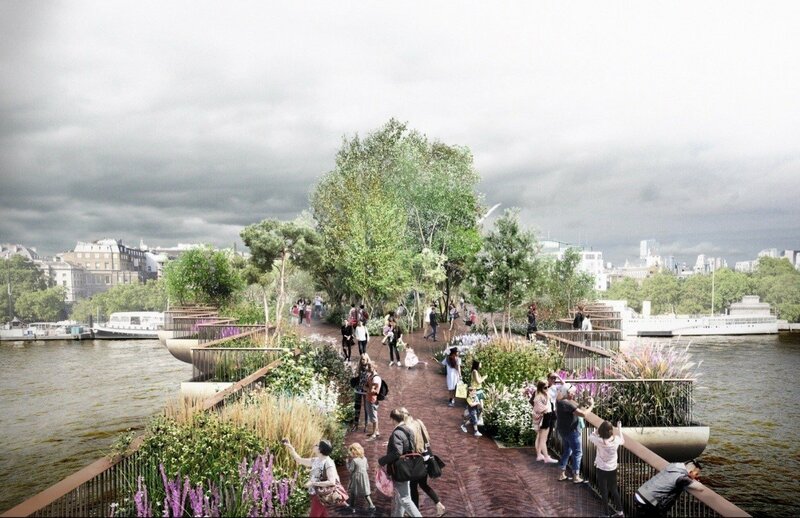 Adopting the idea of London’s Garden Bridge Project, the designer plan to make the second bridge of Westport a park for local people to get close to nature while they are walking toward the other side of the river. 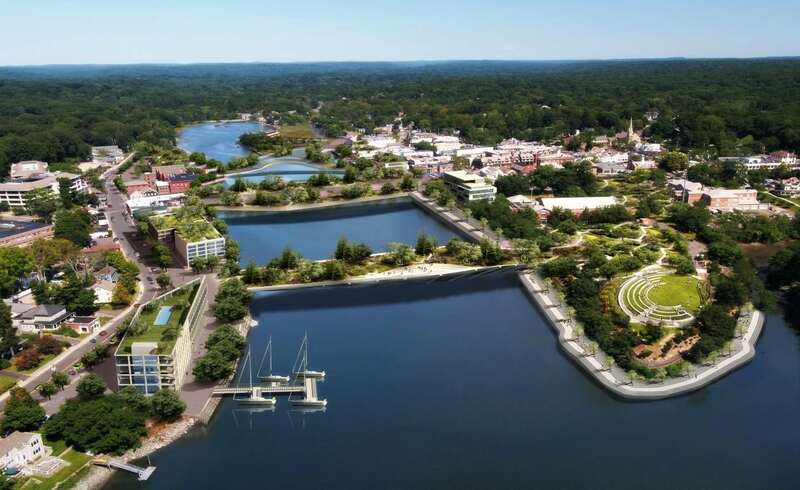 In 2067, Westport will be a great example of small town development in America for its avant-garde design. 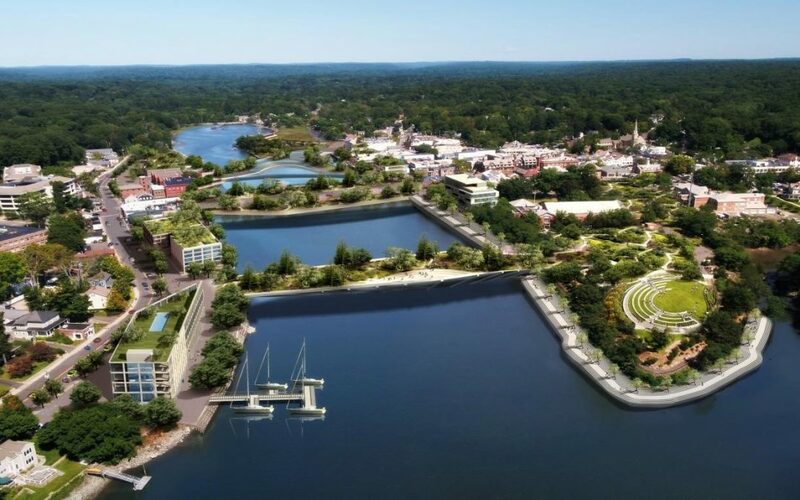 Westport inspires urban planners to think about how to keep the great balance between modern construction and nature so that inhabitants can enjoy the convenient and healthy life. Our client approach to us for 3D rendering service because they realize that using this up-to-date technology to showcase an architectural design will help them win the bid and promote their design. Indeed, AIMIR made the 3D rendering showing their work in its full splendor from different angles. The beautiful scene of Westport and every detail was presented vividly. AIMIR’S 3D rendering picture just like a time machine which makes you feel like that you are on the spot of Westport in 2067 in person. AIMIR CG is an architectural visualization company which has offered excellent works for our clients, strengthening their competitiveness. If you have any audacious ideas and want to show it, please contact us in no time because we don’t know that is there a better chose than contacting us. It really can do about the urban planing! How amazing it is. I would like to wonder what else the 3D rendering can do? 3D rendering can also be a great help if you want to win the bid. What’s more, it will benefit your promotion of your construction. If you want to know more about architectural visualization or AIMIR, you can read through our blog.